I had nice dinner two days. One of Japanese group call Tears. They hock me up BBQ and home made curry with Jacuzzi! Well Wind is too North today. North shore is get light wind. So I decide go Kihei. I took Speed board with 6.2. I feel original Slalom board is more control and fast. Nice to see him again! He has 2days left here. This morning I stop by kite beach. I shoot at Darby and Sofia and Phil. Tina wasn’t get in the water, when I get there. Also Kids was more action! After Kite beach I went to Kanaha. I was on 6.2 bit under power. practice at buoy with Team Maui sails. Moon makes rainbow tonight then Eclipse of moon! Windy like a hell again. Peak is 40mph! 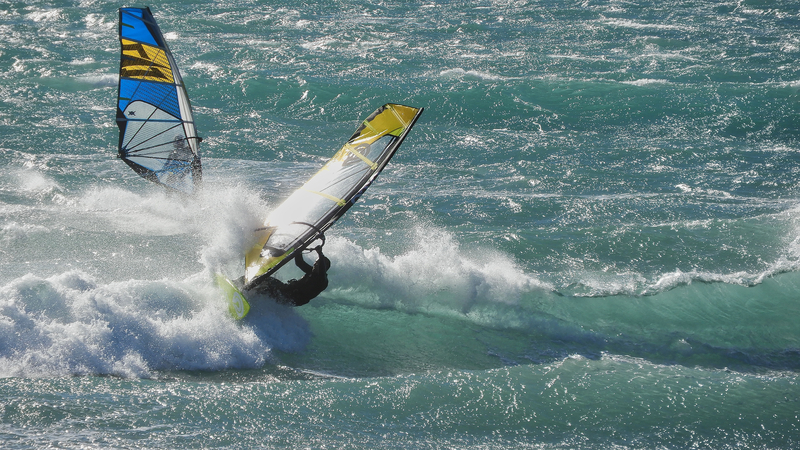 I feel no windsurfing today. But I want to test some thing. I went out there with 5.5. So overpower! I barely made couple of run. Mark was on 5.1 then he was jumping! Well after beach I went to see movie. I watched Knight and Day. Tom Cruise act cool spy! Crazy windy today. Wind was blow like a Hell. Then Brush fire from behind K-mart. Hana high way shut down couple of hours. Ground is so dry I think.